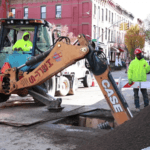 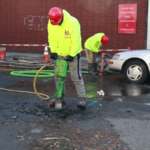 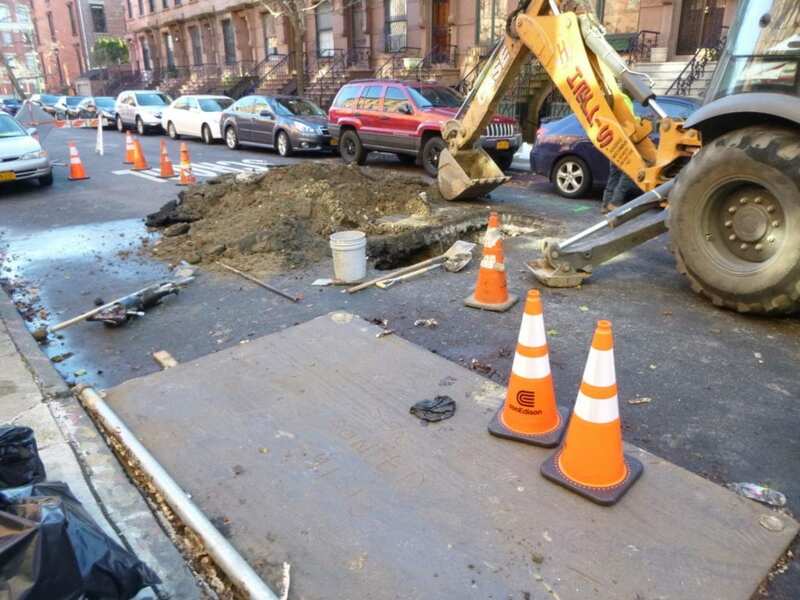 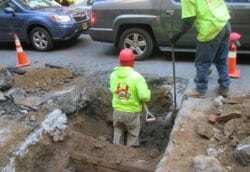 Last week our customer received a DEP 3 day notice violation after Con Edison encountered a water leak while they were excavating in the roadway. 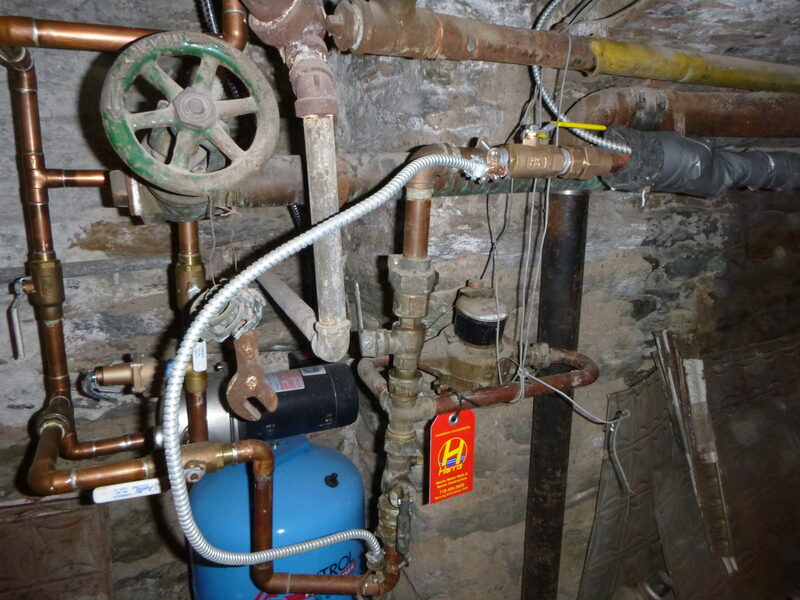 Naturally our customer pointed the finger at Con Ed as most homeowners do in this scenario, it makes complete sense. 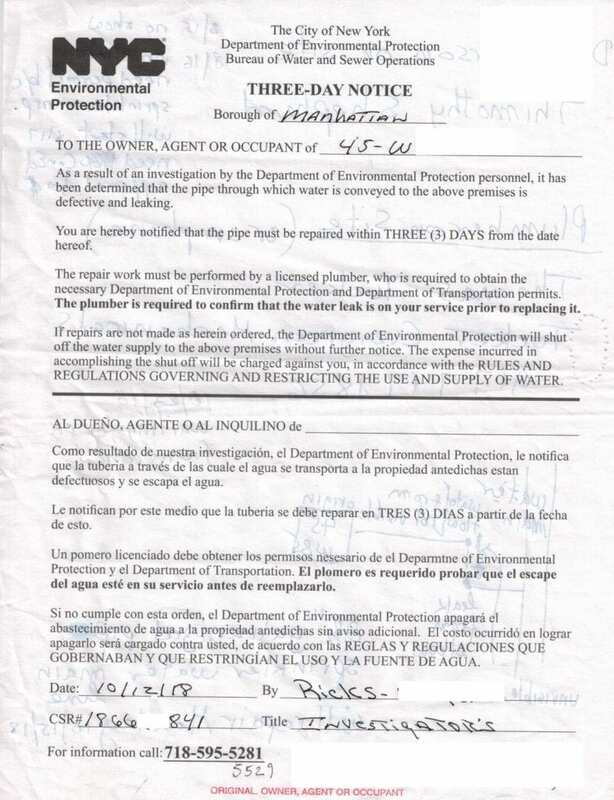 In most scenarios the property owner must hire a private contractor to perform the work as a DEP 3 day notice is time sensitive, and run the risk of having the water turned off by the city. 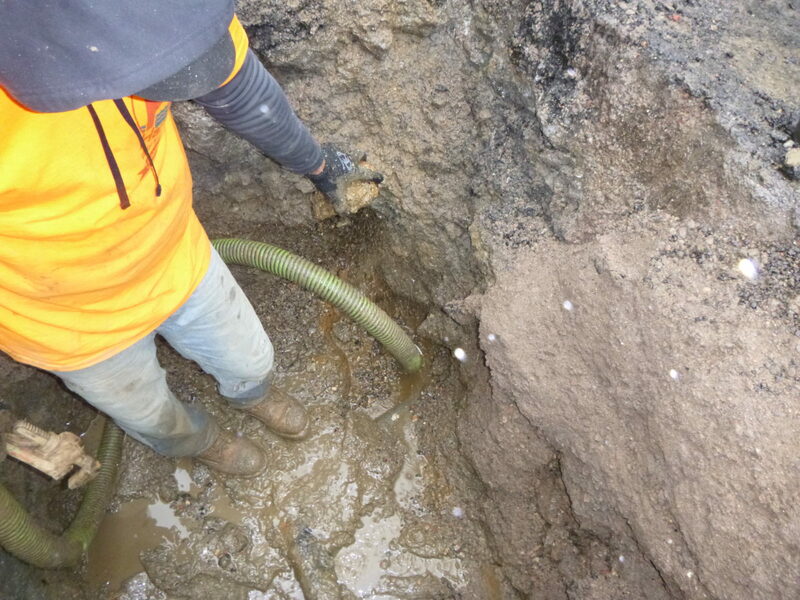 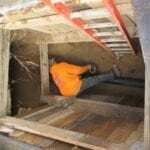 We began working the next day and began by excavating over the city main so we could control the water, and perform a test where the water was coming from. 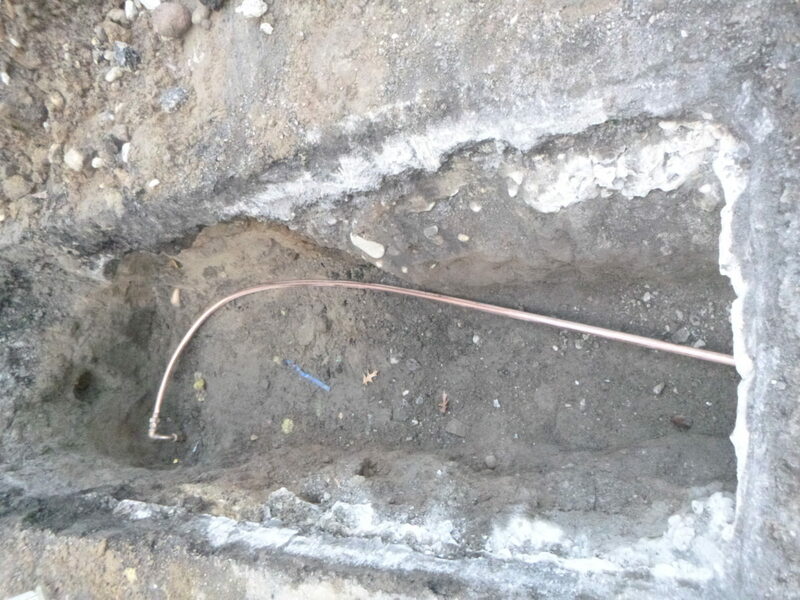 While excavating we encountered a decent size water leak which now required a water pump to beat the water. 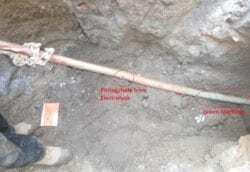 Once we were able to beat the water, we encountered an old fitting that was installed on the pipe. 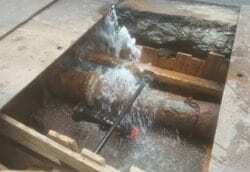 This fitting was also the source of the water main leak. 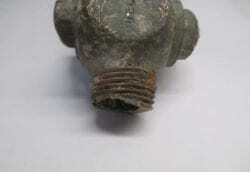 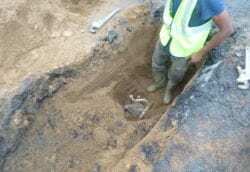 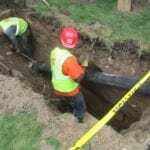 It is very possible that this section of pipe was leaking for years and only surfaced as the roadway was opened. 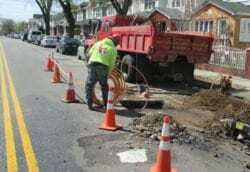 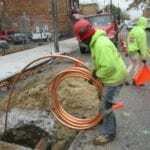 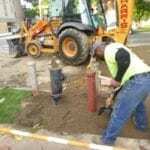 In this case Con Edison had nothing to do with the water main leak. 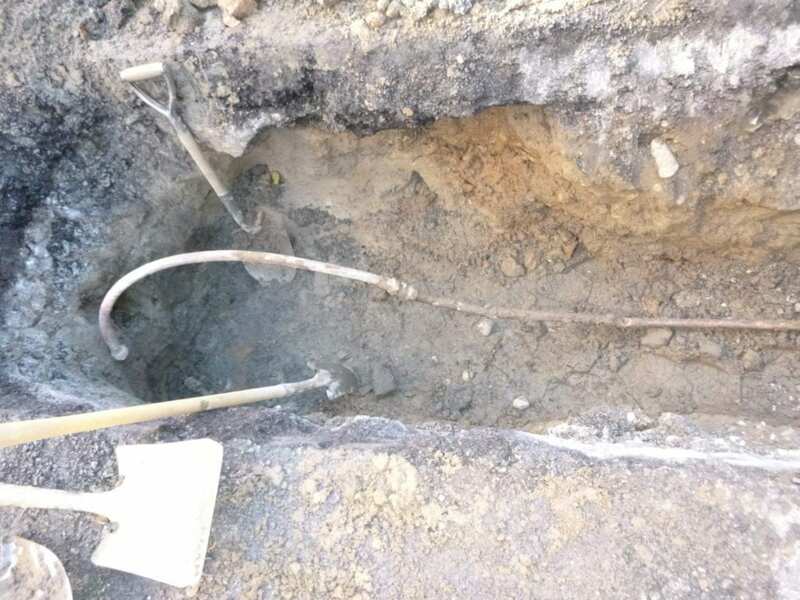 The entire water line now had to be replaced from the street, to inside the house. 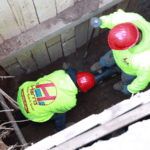 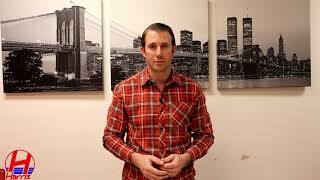 The homeowner had many reasonable questions about how could the leak have been surfacing 15′ away from where actual problem was and why she did not experience any loss in pressure if the pipe was leaking. 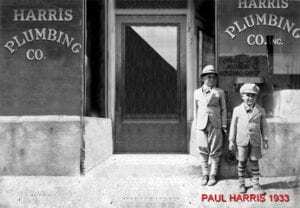 Please feel free to contact Team Harris if you have similar questions or find yourself in a similar scenario.